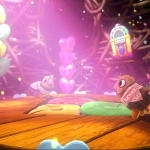 A huge collection of cheats that includes how to get a yellow Flutterscotch, passing the time without prompts or delays and unlocking more accessories. We'll also tell you how to transform pinatas. Our hints and tips include how to make lots of money, how to get a Fizzlybear and a Salamango as well as other species variants. We have 263 questions and 550 answers for Viva Pinata. Check them out to find answers or ask your own to get the exact game help you need. How do ya giv' coins to professor pesta??? Brats exchange has frozen he just keeps going in and out of his hat how do I unfreeze him? What are all the evoulution I know this asking alot. How do I get a fudgehog to enter my garden? 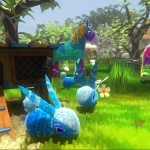 There are 50 achievements for Viva Pinata, click here to see them. We have 4 Walkthroughs for Viva Pinata. 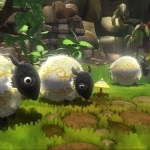 We have FAQ/walkthroughs that include a gardening and a pinata guide. 4how do i get my dragonache back after sent away? everything pinata FROM A-C (others w..